April Zhang, LAc, blends her training in acupuncture with Chinese herbal medicine to naturally heal her patients’ wide range of health concerns at Total Health Physical Medicine & Rehabilitation Center in Florham Park, New Jersey. Zhang earned her master’s degree in acupuncture from the Shanghai University of Traditional Chinese Medicine in Shanghai, China. 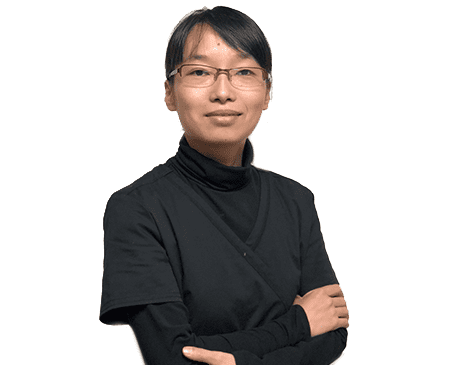 She’s licensed to practice acupuncture in the state of New Jersey and is a board-certified diplomate of Oriental medicine from the National Certification Commission for Acupuncture and Oriental Medicine. In addition to acupuncture, she is trained in cupping, moxibustion, gua sha, and manipulation. She has used her extensive experience in acupuncture and Chinese herbal medicine to successfully treat patients who are suffering from sciatica, headaches, tennis elbow, temporomandibular joint dysfunction (TMJ), painful menstruation, and pain in the back, hips, knees, legs, and groin. Her treatments can help alleviate allergies, anxiety, stress, and insomnia. She has also seen success in treating a range of digestive issues, including irritable bowel syndrome (IBS), constipation, diarrhea, and abdominal pain. Zhang’s goal is to provide her patients with a natural, stress-free way to heal from any health issues while supporting their overall mental and physical health.